Douglass continued traveling up to Massachusetts. There he joined various organizations in New Bedford, including a black church, and regularly attended abolitionist meetings. 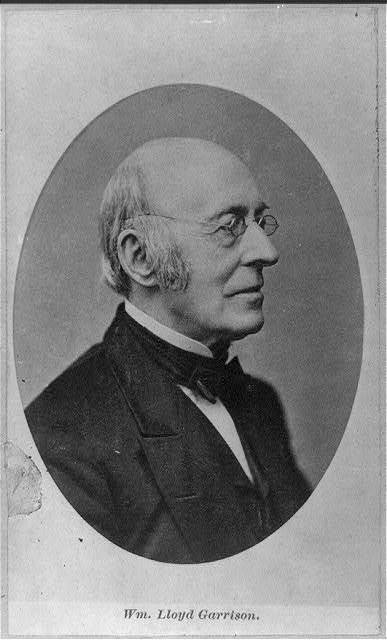 He subscribed to William Lloyd Garrison's weekly journal The Liberator, and in 1841 heard Garrison speak at a meeting of the Bristol Anti-Slavery Society. At one of these meetings, Douglass was unexpectedly asked to speak. After he told his story, he was encouraged to become an anti-slavery lecturer. Douglass was inspired by Garrison and later stated that "no face and form ever impressed me with such sentiments [of the hatred of slavery] as did those of William Lloyd Garrison." Garrison was likewise impressed with Douglass and wrote of him in The Liberator. Several days later, Douglass delivered his first speech at the Massachusetts Anti-Slavery Society's annual convention in Nantucket. Then 23 years old, Douglass said later that his legs were shaking but he conquered his nervousness and gave an eloquent speech about his rough life as a slave. After living in New Bedford for only a few months, a young man approached Douglass and asked him if he wanted to subscribe to the Liberator, a newspaper edited by the outspoken leader of the American Anti-Slavery Society, William Lloyd Garrison. Douglass immediately became caught up in the Liberator's attacks on southern slaveholders. "The paper became my meat and drink," wrote Douglass. "My soul was set all on fire."